Pete The Cat: Valentine's Day Is Cool Hardcover Just $6 Down From $10! You are here: Home / Great Deals / Amazon Deals / Pete The Cat: Valentine’s Day Is Cool Hardcover Just $6 Down From $10! Pete The Cat: Valentine’s Day Is Cool Hardcover Just $6 Down From $10! Here’s a great Valentine’s Amazon deal. Pete The Cat: Valentine’s Day Is Cool Hardcover is just $6 down from $10! Get yours now while it lasts! 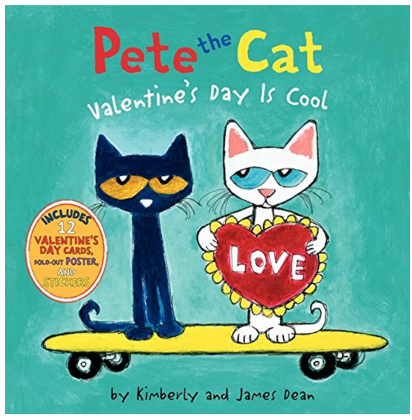 Join Pete in New York Times bestselling author James Dean’s Pete the Cat picture book series, as Pete has a Valentine’s Day adventure—complete with poster, punch-out valentine cards, and stickers!